Views, Views, Views!! !, Welcome to this 3 bedroom 2 bath home on 16.2 acres with awesome long range views of wild and wonderful Peters Mountain. Land has trails thru out with wildlife abound and lays level, rolling to steep, Home was Built New in 2009 (lay out under documents) is well maintained with Recess lighting thru out . It also has a full basement, concrete back patio with basketball goal. and much more. Excellent location close to 219 and 460. 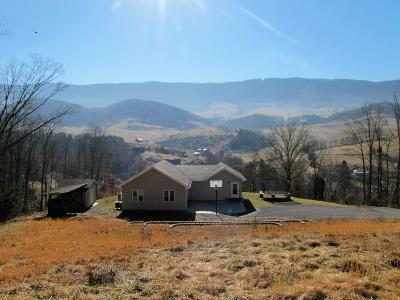 25 miles from Princeton, WV, 30 miles from Blacksburg, Va. and 1 hour to Lewisburg, WV. Call today for your private showing.